Looking for high quality, uniquely designed mirrored bedroom sets on affordable price range? 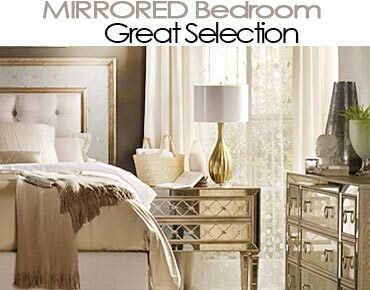 Discover the latest variety of beautiful shapes, innovative styles and alluring colors in mirrored bedroom sets to choose from. 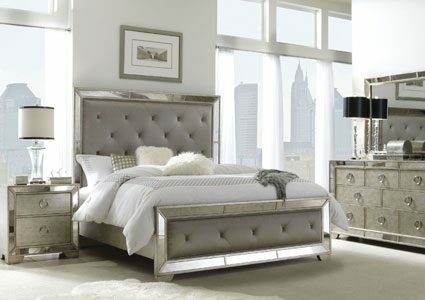 Our designer brands help you decor your bedroom with only the best and versatile mirrored furniture pieces. Fill your bedroom with Dutchess 4pc bedroom set and make your bedroom a unique place that you love to live in. This set will truly have you feeling like royalty from the moment you enter your bedroom. Imagine waking up to the shine of mirrored furniture right inside your bedroom. It may sound like a lifestyle associated with showbiz players only, but it’s possible to have the same glamorous look in the real world. And a mirrored bedroom set is the shortest route to getting the look. It includes all the popular bedroom furniture units, like a mirrored bed, mirrored headboard, mirrored nightstand, mirrored bedside tables, mirrored dresser, mirrored wardrobe, mirrored jewelry armoire and a mirrored bedroom vanity. Now, each of these pieces is special in its own way, in that it has the personality to stand out even without the rest of the pieces. That means you can use some of the pieces in other rooms, say like the bathroom, and they won’t be any less classy. The biggest mirrored bedroom set will have nearly all the items listed above, from the bed to the vanity. But this applies only to selected models. Many bedroom sets have only four or five pieces. 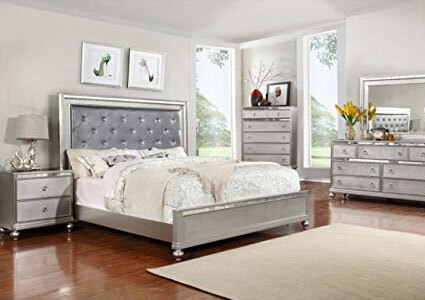 The specific furniture units included in each set may vary from one manufacturer or design to another, but a standard mirrored bedroom set will have a bed, pair of bedside tables or nightstands, wardrobe and dresser. More extravagant models will have extra units like mirrored storage boxes, mirrored jewelry boxes and mirrored benches. Usually, the more items included in the bedroom set, the higher the price. Shop around prior to buying for a mirrored bedroom set that comes with all the pieces you need and falls within your budget.